Are you wondering what to do on Saturday November 30th? 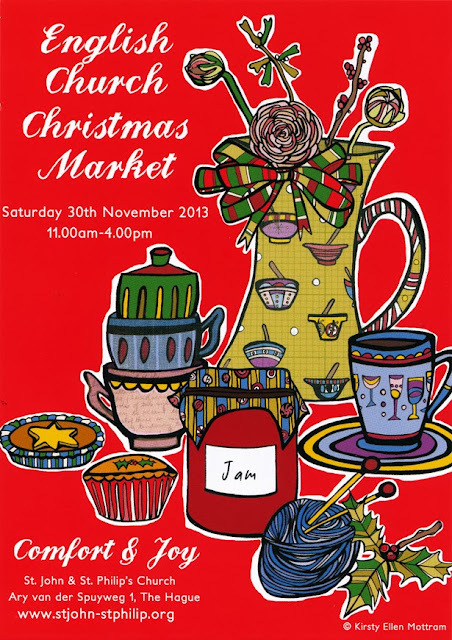 The annual English Christmas Market will take place. I invite you all to join and to visit me, it would be great to see you (or meet you) all. If you hace children you can combine it with a visit to the beautiful sand playground at the other side of the street (Ary van der Spuiweg). There will be activities for children, lots of different british Christmas homemade products, arts, crafts, even a tombola and live (Christmas) music all day long. Very christmassy!